The reputation of the oak is based not on superlatives but on personality. In human terms, it is not a celebrity, but a reliable citizen. Its enduring legacy is evident in place- and surnames, in landmarks and buildings and as a sturdy staple of engineering material. More than any other tree, the oak has been a symbol of strength and durability. Venerated in pagan societies, elements of its worship were absorbed by other religions: Celtic mythology, for example, where it is believed to be a gateway between worlds; or Norse, where it is sacred to Thor, god of thunder, as the tree most often struck by lightning. 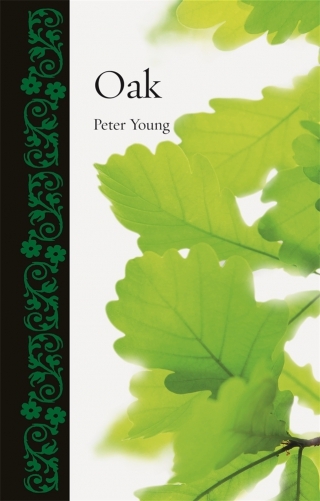 The oak has been adopted by many countries as a national symbol, particularly in western Europe and the United States. Several individual oaks are of great historical importance, such as the Royal Oak within which King Charles II of England hid to escape the Roundheads, and the Charter Oak in Hartford, Connecticut, which became a symbol of American independence. Peter Young is an independent scholar who lives in Crawley, West Sussex. He is author of Person to Person (1992), a social history of the telephone,Tortoise (2003) and Swan (2007), both published by Reaktion.